Addressing the gathering, the minister pointed out that Telangana was the first state to bring a new policy on cyber security. 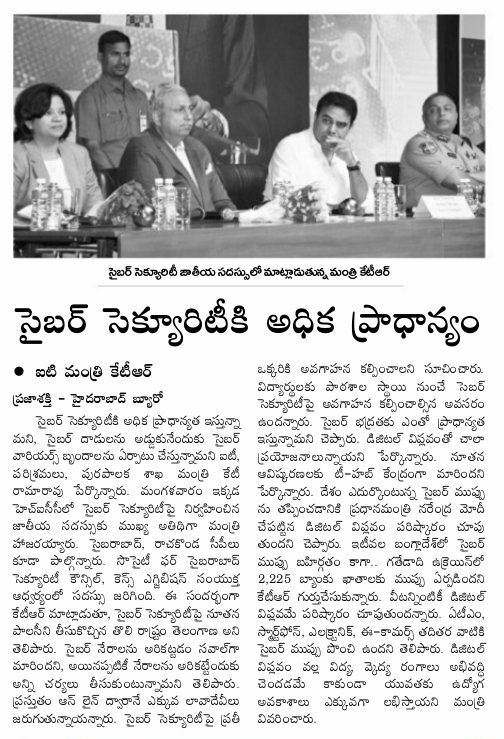 Hyderabad: Telangana IT Minister K.T. 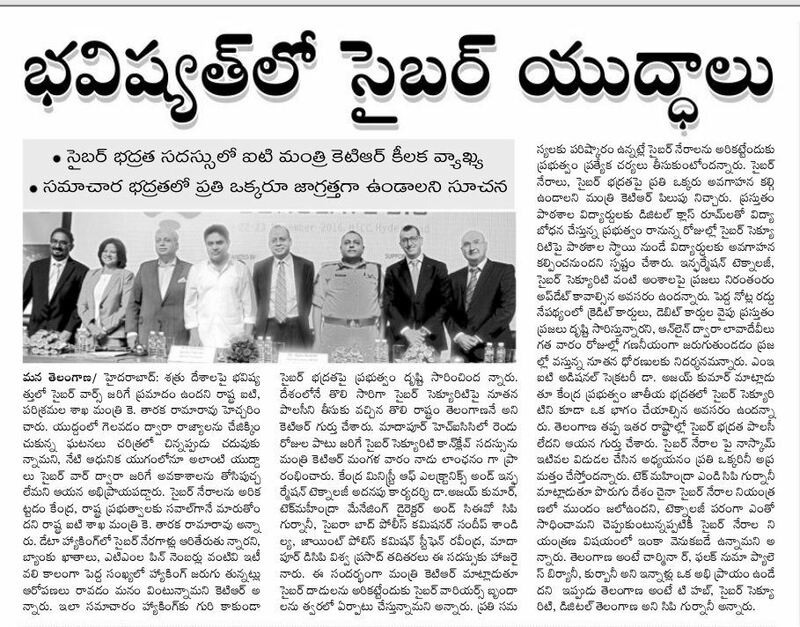 Rama Rao on Tuesday said that Cyber Warrior teams are being established to counter cyber-attacks. 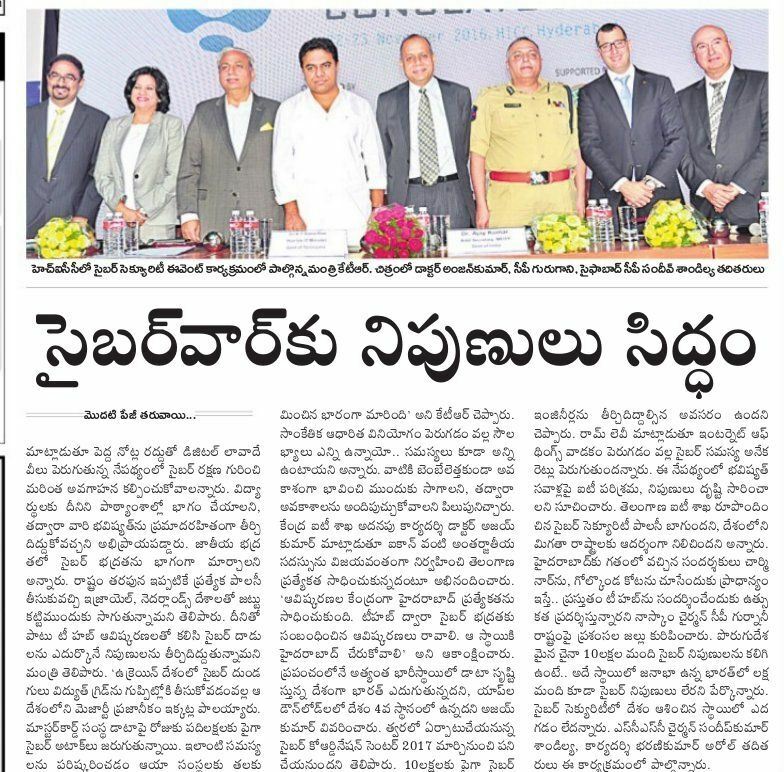 The rising number of cyber-attacks is posing a big challenge, but Telangana government is prepared to counter it, he said. 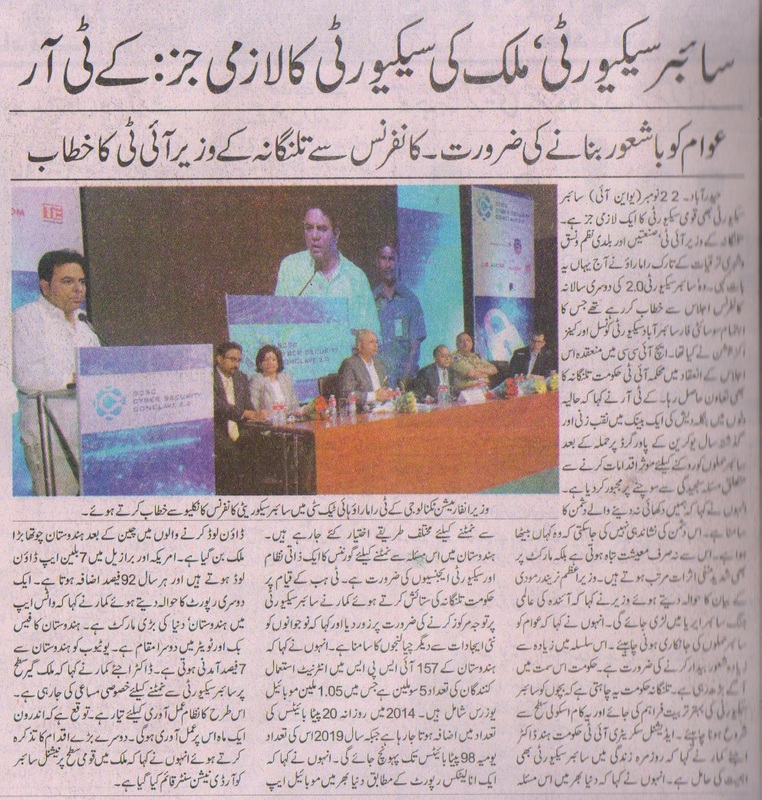 Mr Rao was the chief guest at a two-day conclave on cyber security which commenced at HICC, Madhapur. Addressing the gathering, the minister pointed out that Telangana was the first state to bring a new policy on cyber security. “Online transactions have become the order of the day. Steps should be taken to create more awareness. Even children should be taught about this subject from school days,” he said. 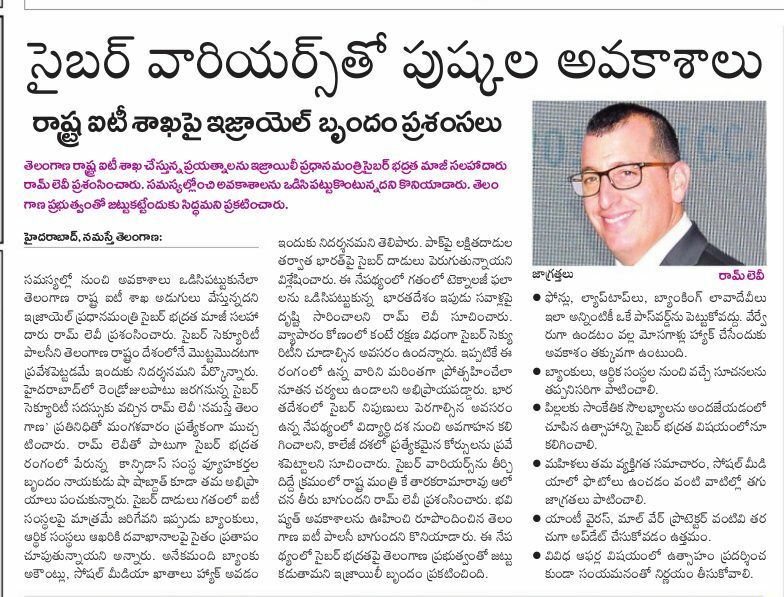 “We are taking help of cyber security experts from Israel and Netherlands,’’ the minister said.